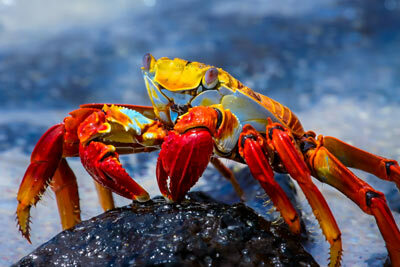 Enjoy a stunning array of native species and cultural tours on this perfect combination of land and sea excursions. 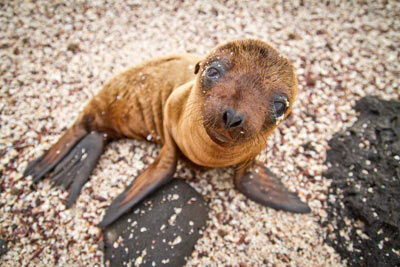 The Galapagos welcomes you into an environment rich with wildlife and geographical wonders. 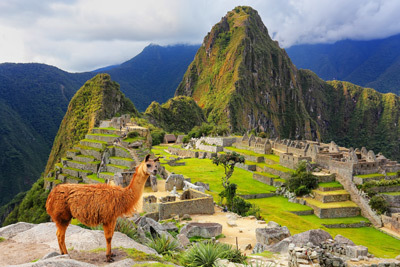 Get to know the history of Ecuador and Peru when you visit Quito, Machu Picchu, and Lima. 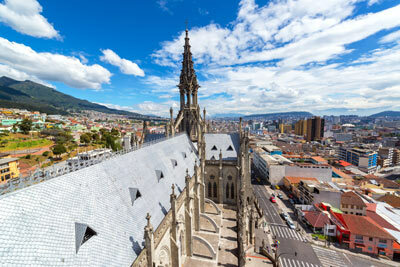 This morning's tour offers the best of Quito, with its rich cultural legacy, ornate façades and dazzling altars. Visit Independence Square, the Archbishop's Palace, the Metropolitan Cathedral as well as other sites of colonial art and architecture. This afternoon, visit the famous Equatorial Monument marked by geographers as latitude 000'00". You will have the opportunity to stand in two hemispheres at the same time. Afternoon - Mosquera Islet Wet Landing - Mosquera Islet is located between North Seymour and Baltra Island. This flat sandy island has a large colony of sea lions. It is also an excellent site to observe shorebirds such as herons and lava gulls. There are no trails on the islet; visitors can enjoy the open area. Most of the islet is covered with sand and barren lava rock. Very few sesuviumportulacastrum plants grow on the sand. 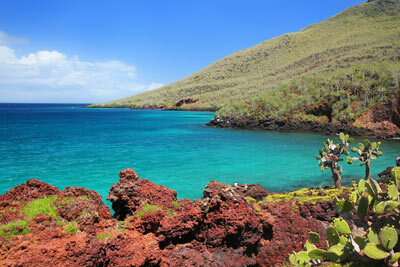 Egas Port is a black volcanic sand beach, visited by Darwin in 1835. The first section of the trail is formed of volcanic ash (eroded tuff) and the other half is an uneven terrain of volcanic basaltic rock. 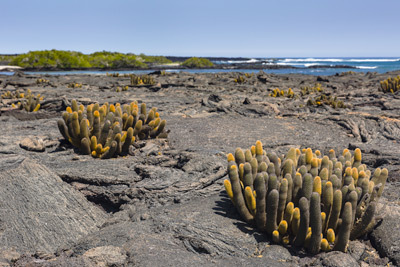 The unique, truly striking layered terrain of Santiago shore is home to a variety of animals including the bizarre yellow-crowned night heron and marine wildlife including lobster, starfish, and marine iguanas grazing on algae beds alongside Sally light-foot crabs. It is easy to see colonies of endemic fur seals swimming in cool water volcanic rock pools. Dark-red sand covers the unique beaches of this island, home to sea lion colonies; Rabida is considered the epicenter of the Galapagos Islands due to the diversity of its volcanic geology. Nesting brown pelicans are found from July through September plus nine species of the famous Darwin's finches. Here you'll take a dinghy ride along marine cliffs to better observe nesting seabirds. 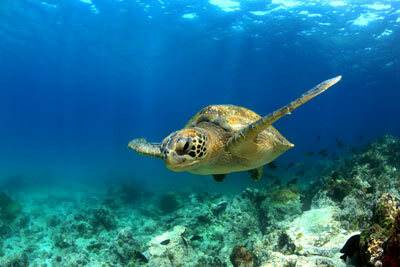 You may also snorkel off the coast where marine life is particularly active. See a genuine volcanic black sand beach, and depending on the season, you may find giant tortoises, land iguanas, and the occasional flightless cormorant too. After a short walk inland, it's snorkeling time, a chance to swim with sea turtles, sea lions, and countless tropical fish. Urbina Bay features a wide variety of plants with a wide array of colors in flowers, attracting many different insect species, birds, and reptiles. One of the highlights of the island is the uplifted coral reef that resulted from the 1954 seismic activity; here the views of Alcedo Volcano are remarkable. We will return by the same path for a dinghy ride along a shoreline full of marine wildlife, where we will admire a variety of seabirds, such as Blue-footed Booby, Brown Noddy, terns, Flightless Cormorant and depending on the season, a large number of Galapagos Penguins which are only 35 cm tall; the only penguin species in the world to live in the tropics. 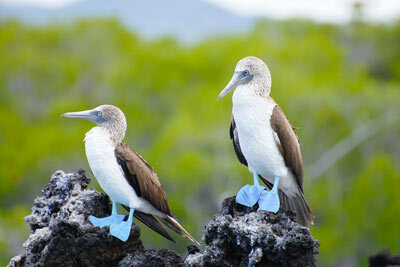 From Espinosa Point, it is possible to admire a wide view of Isabela Island across the Bolivar Channel, an area that boasts some of the highest diversity of endemic sea fauna in the Galapagos. Here, the largest most primitive-looking marine iguanas are found mingling with sea lions and Sally Lightfoot crabs. 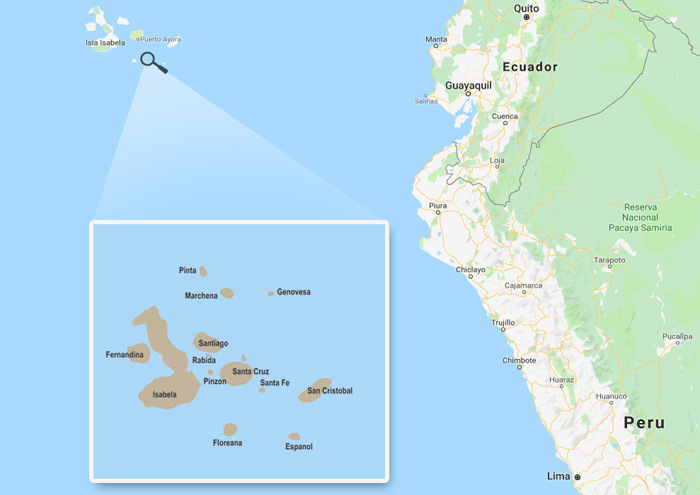 Fernandina displays a wonderful opportunity to encounter flightless cormorants at their nesting sites, Galapagos penguins, and the “King” of predators on the islands, the Galapagos hawk. Pa'hoe'hoe and A'A lava formations cover the majority of Fernandina's terrain. Vegetation is scarce inland, with just a few brachycereus cacti and mangroves. Enjoy excellent deep-water snorkeling at one of the richest marine havens on Earth, the Bolivar Channel. Accessible by water, you'll take a dinghy ride along the coast to observe a great diversity of sea and coastal birds including Nazca and blue-footed boobies, noddies, brown pelicans, penguins, and flightless cormorants. The upwelling of cold water currents in this part of the Galapagos gives rise to an abundance of marine life and a perfect place for deep snorkeling. In the mountains of the Galapagos, admire different kinds of birds such as tree and ground finches, vermillion flycatchers, paint-billed crakes, yellow warblers, and cattle egrets (usually perched on a tortoise's shell). The journey to the reserve offers great opportunities to see the contrasts that the island offers in reference to the variety of ecosystems. The road travels from the coast through the agricultural zone and up into the dense humid forests. 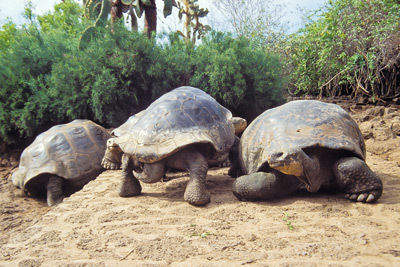 Often, Galapagos Giant Tortoises are also seen on the way, wandering through pastures in the paddocks. This spot is a birdwatcher's haven since almost every land bird present on the island lives or migrates here. After the visit, passengers will be transferred to the airport for their onward flight to Lima via Guayaquil. Welcome in Lima upon arrival and assistance to transfer to your hotel located just across from the airport. 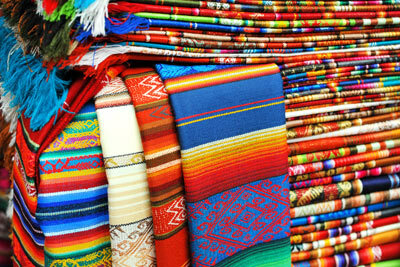 Return to the Lima Airport this morning for your flight to Cusco. You will be transferred from the airport to the Sacred Valley where you will visit Awanakancha ("The Fabric Palace"), a South American textile and exhibition center. It is considered a living museum where you can appreciate the Andean camelids, learn the techniques of wool-work, and acquire finely crafted and decorated garments. After this visit, you will continue to your hotel in Urubamba. Dinner at your hotel. 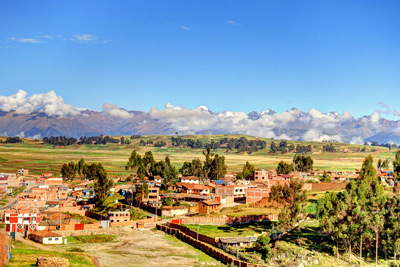 In the morning, you will be picked up from your hotel in Urubamba to visit the town of Chinchero, a traditional Cusco urban center located at an elevated point with a beautiful view of the valley. The inhabitants of this area preserve the artisan traditions and the inherited knowledge of the Incas and display them in their clothes and customs. In Chinchero there are also archaeological remains and a beautiful seventeenth-century church, one of the first Catholic buildings in Peru. Then, transfer to the Living Museum of Yucay, making a stop at the Raqchi viewpoint. The museum is a center for Andean tradition interpretations, where demonstrations of the making of textile work, adobe, pottery, and silverware are performed in the same way they were historically; it is a faithful recreation of Inca traditions. Also, the permanent residents of the museum include llamas, sheep, and alpacas—and yes, you can even feed them! Next, transfer to Ollantaytambo where you have free time for lunch. 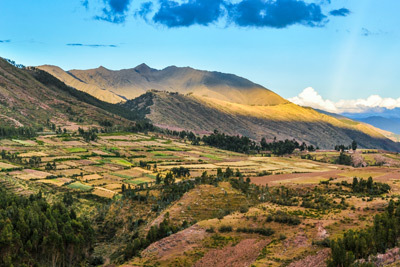 After this, visit the town and local archaeological site, continuously inhabited since the reign of the Incas, and climb the iconic fortress built at the foot of a mountain. This activity will conclude the day as you are transferred back to your hotel. Lunch at Rancho Wayra. Dinner at your hotel. Transfer from your hotel in Urubamba to the Ollantaytambo train station. Your tour to Machu Picchu begins with an approximately two-hour train ride to Aguas Calientes. This town is also known as "Machu Picchu pueblo" and is the last stop before entering the remains of the most important archaeological site in Peru. Aguas Calientes has a train station, a craft market, restaurants and hotels of different categories for those who prefer to spend the night at the foot of the mountain and climb it early. Finally, after a short transfer by bus, you will reach Machu Picchu, a masterpiece of engineering and architecture that served as a sanctuary and retreat for the Inca Pachacutec. Machu Picchu, which means "Old Mountain", is considered a UNESCO World Heritage site and one of the new seven wonders of the world. Enjoy a delicious lunch at Belmond Sanctuary Lodge. Dinner at your hotel. Overnight in Aguas Calientes. LUGGAGE NOTICE: Please pack an overnight bag for this journey. Due to luggage restrictions aboard the trains to/from Machu Picchu, passengers may only take one (1) small handbag weighing no more than 5 kg (11 lbs). Your luggage will be transferred to Cusco separately. 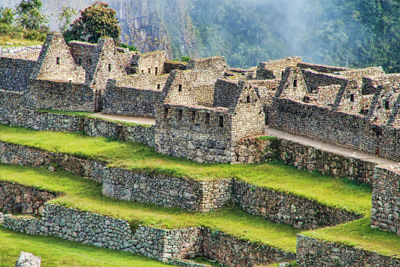 Today we return to Machu Picchu and visit more of the attractions of the citadel. Visit the Intipunku, which in Castillian means "Sun Gate" and is the last stop before entering Machu Picchu if you follow the Inca trail from Ollantaytambo. This place served as something of a travel checkpoint, and as its name implies, the sun rises every day through this door if viewed from the most important buildings of the citadel. Finally you will be able to see the Inca Bridge, an incredible stone building that served as entrance and exit of the citadel and halfway has a gap of several meters above which where two large wooden tables. Thus the Incas could isolate the city by simply withdrawing them and thus remain protected. In the afternoon head to the train station of Aguas Calientes and from there take the train back to Ollantaytambo train station. Transport will be arranged for tansfer to Cusco. Dinner at a local restaurant. Overnight at the hotel in Cusco. You will start the day touring the Sacsayhuamán fortress, one of the emblematic Inca constructions (located a few minutes away from the built-up area), built by Inca Pachacútec in the 15th century. It is a huge fortress made of very large stones, and the manner in which they were transported and cut is still a mystery. The IntiRaymi Festival, which worships the Sun, is reenacted on June 24 of each year, during the winter solstice. You will then go to Qenqo, located four kilometers away from Cusco city, which is a mainly religious archaeological complex where it is believed that propitiatory agricultural rituals were carried out. Continue to Puka Pukara, located seven kilometers away from Cusco. Puka Pukara, which means "red fortress", was an architectural complex presumably used for military purposes; it has many rooms, squares, aqueducts, walls, and towers, and it is believed that the Inca's entourage used it while resting at Tambomachay. Next, explore the fountains of Tambomachay, a construction that has fine stone finishings and a fine command of hydraulic engineering with aqueducts that supply clear water. This archaeological complex is located eight kilometers away from Cusco City. Also known as the "Inca Bath", Tambomachay was probably a place of leisure. The construction seems to have a special interest in water, which was worshipped, and aqueducts fed by groundwater aquifers and neighboring hot springs. Lunch at local restaurant. In the afternoon, participate on a walking tour starting at the Coricancha Temple, one of the most important buildings in the city. It was one of the most important centers of worship to the Incan Sun God that was converted into a convent after the arrival of the Spanish. Next visit the wonderful Cusco Cathedral, built between 1560 and 1664, and end the tour visiting the San Pedro market, a pantry of thousands of products from different areas of the region. Finally, return to the hotel. NOTE: The visit to San Pedro market can be replaced by a visit to Casa Concha, an old colonial mansion that houses an impressive collection of Incan pieces from Machu Picchu. 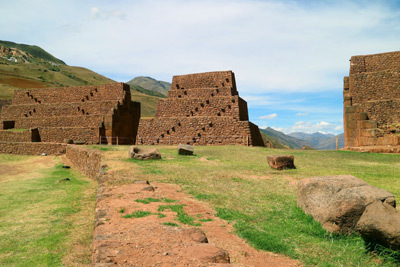 This morning visit Tipón, a perfectly preserved archaeological site, located 27 kilometers from the city of Cusco. Near the village of the same name, where an impressive rural colony mansion stands (1650), there are 12 terraces still cultivated, some enclosures, and an irrigation system considered a masterpiece of hydraulic engineering, still used by the surrounding population. Then continue to Pikillacta, corresponding to the Wari culture, and considered one of the best preserved pre-Inca cities of Peru. Among its 700 structures, covering more than 3,000 hectares, there are stone and mud buildings of two and three floors, distinct terrace work, and the head of a condor carved in a rock. It is estimated that 10,000 people lived in this city, whose streets can still be transited. Finally, visit Andahuaylillas, a town located 40 kilometers from Cusco that has the Church of Andahuaylillas as its main attraction. Also called "The Sistine Chapel of America", due to the impressive quality of the art pieces found in it. The structure was built in the sixteenth century on sites of possibly Wari territory. Today it has an original pipe organ recently restored. From here start your return to Cusco. Lunch at local restaurant. Transfer this afternoon to the Cusco Airport for the flight to Lima. Arrive in Lima and connect with your flight home. 0615 Depart for airport and flight to Baltra. Board the cruise ship Coral I (4 nights). Certified Registered Nurse Anesthetists: This program has been prior approved by the AANA for 20 Class A CEC; AANA Code #1037515; Expiration Date 2/25/2020. $100 December 19, 2018 to January 18, 2019. No refund after January 18, 2019; however, 50% of tuition paid may be applied toward tuition for another NWAS program within the next 12 months. Cancellation must be made in writing. No penalty prior to October 10, 2018. 100% non-refundable after October 10, 2018.